It all started with a simple private message on my Facebook page from a guy named Alberto Deninotti. He explained to me the event’s plan and asked me to come to cover it with photos. 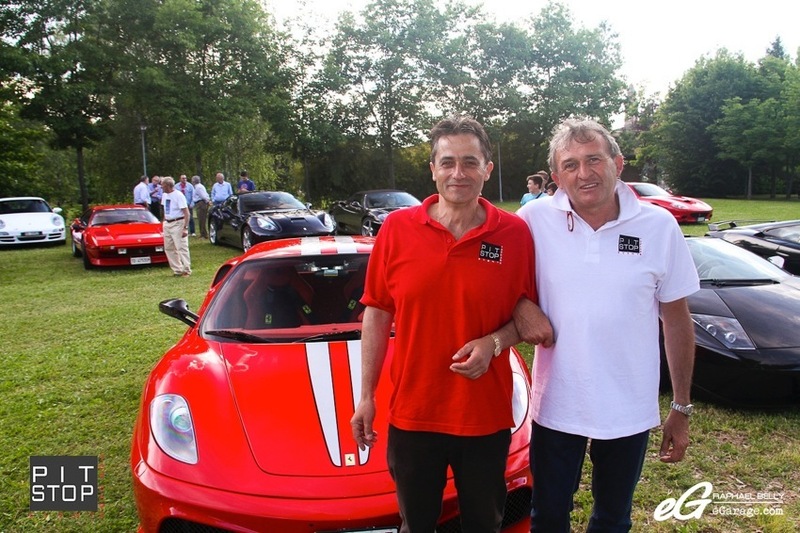 We met later during Top Marques Monaco and the organizers gave me some clarification and we decided to work together. 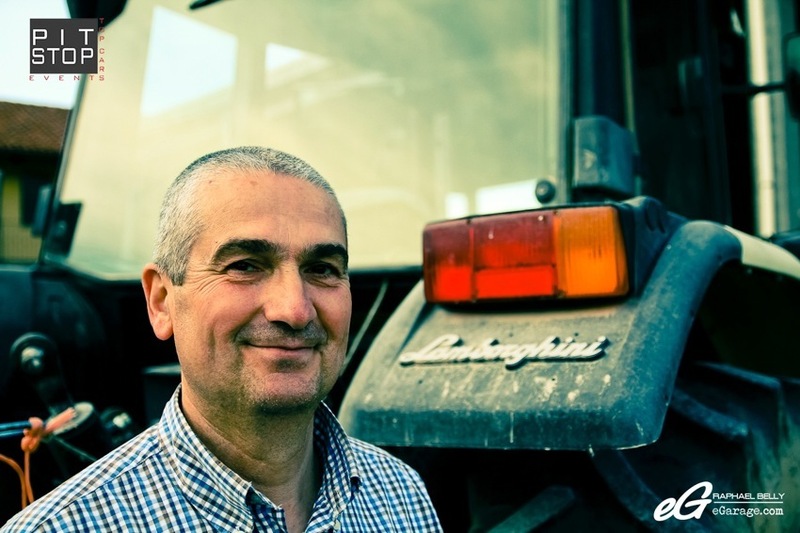 My first contact in Italy was the Buttieri Giuseppe Camere Agriculturitiche in Cherasco. A very charming farm that has been turned half into bed and breakfast. The other half is still a true farm, with a horse grazing on weed and hay. But what I found in front of the horse under a covered playground, a tractor, which seemed standard. But we are in Italy and I smiled when I got closer and saw the Lamborghini logos on it! A Lamborghini tractor! There was even a plate like on the cars, specifying the model, chassis etc. It was a Lamborghini 1050/DT. Obviously, as a true Italian, our kind innkeeper Giuseppe Buttieri had to have a horse and a bull! My girlfriend asked me since when did Lamborghini make tractors because she has never seen one before. In the Monaco streets it’s not very useful or trendy! (Laughs). The brand Lamborghini was born in 1949 as a tractor factory, named Lamborghini Trattori SpA. The story goes that Ferruccio Lamborghini (Lamborghini founder) had owned cars from Osca, Maserati and Ferrari and that he was disappointed with the mechanics (engine and clutch). 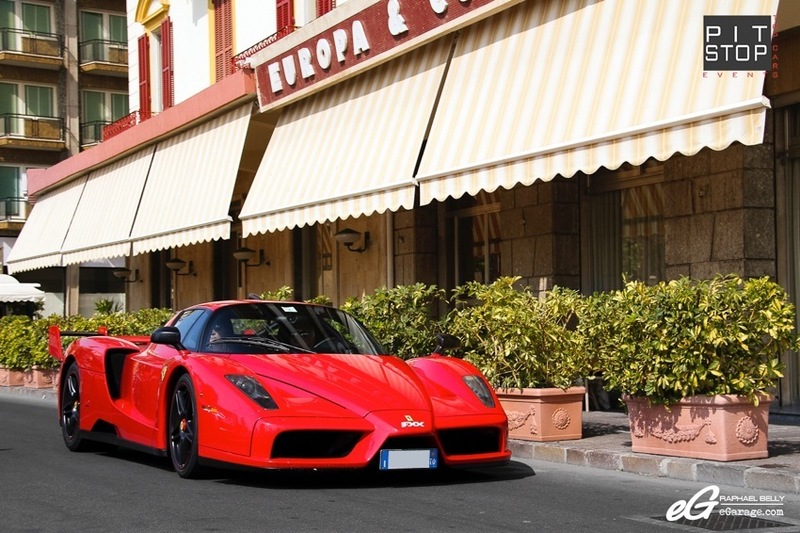 One day he decided to go to Ferrari factory that wasn’t far, to meet Enzo Ferrari to speak about these problems. But instead of welcoming him Enzo Ferrari simply dismissed him saying him he had no time for a tractor factory, to leave Ferrari making sport cars and to stay with his tractors. It was after this dig that Ferruccio decided to make his own car with his own V12 engine to show Enzo Ferrari that he was wrong. 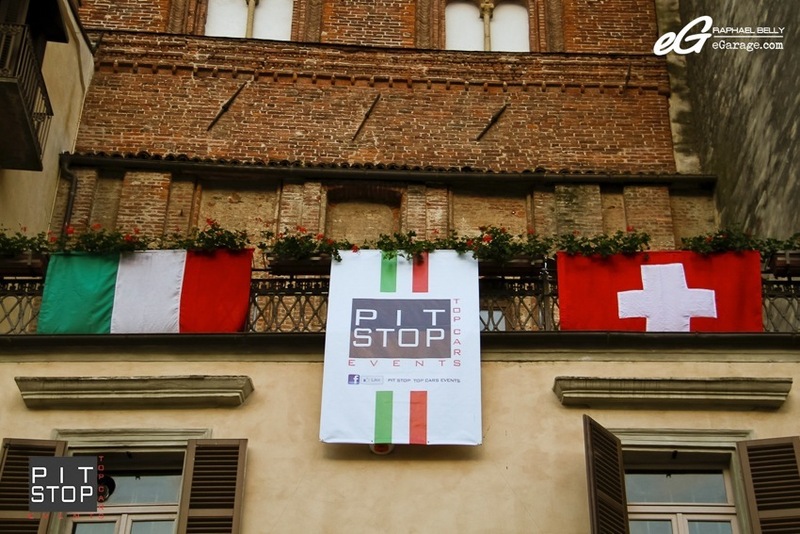 Digression done, Pit Stop Top Cars is not a simple gathering of cars, it is an all inclusive event through 3 days, several Italian cities, with many events and features. All has been set up by four people : Giovanna Bertola, Giovanni Sobrero, Alberto Deninotti, Enrico Allocco. Giovanna Bertola told me that they have been planning this event since August 2013! “We did the 2013 Pit Stop Top Car Event in July 2013 and the next month we were already starting to work to set up the 2014 event. 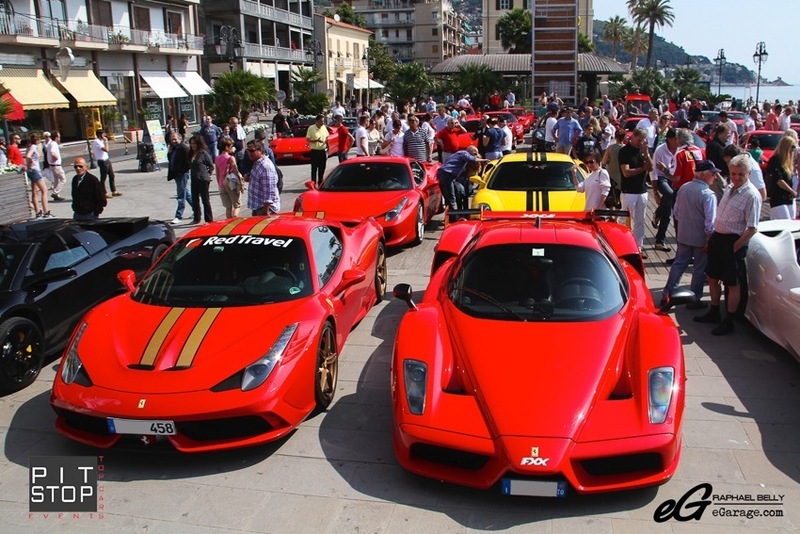 This is the first time we are gathering so many cars (this year we are 50 cars). There is a lot of work and things to manage with the participants, hotels, restaurants, etc. And the phone never stops ringing. Due to the large amount of cars, we had to choose a route with less red lights and intersections so as not to break our convoy. It’s a lot of work but we are happy to do it, we do it because of passion”. And I must admit that the organization was impressive : when the cars was moving from one place to another there were bikers and two safety cars (Pit Stop entrants too) by the roundabout who were stopping other cars to let the Pit Stop cars drive without interruption, all was made possible thanks to the agreement with the local authorities. 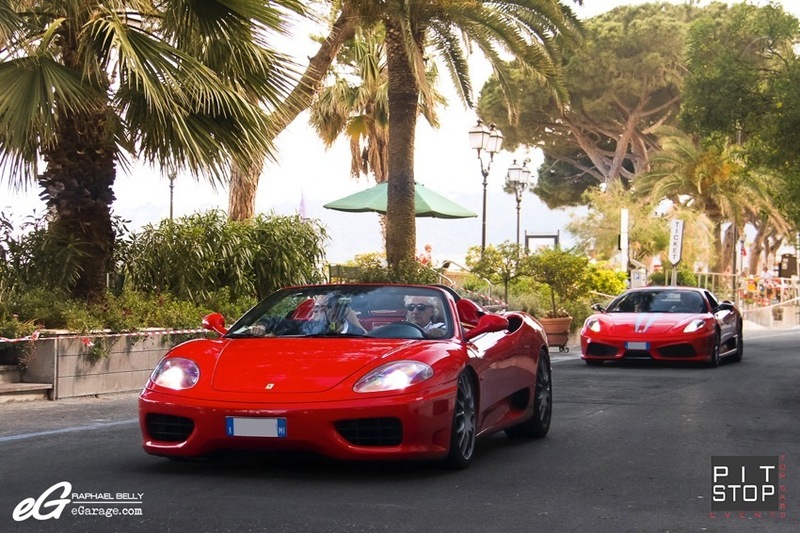 Overall, 50 cars are participating in the 3 day event, including Ferrari, Lamborghini, Maserati, Porsche, Lancia, etc. 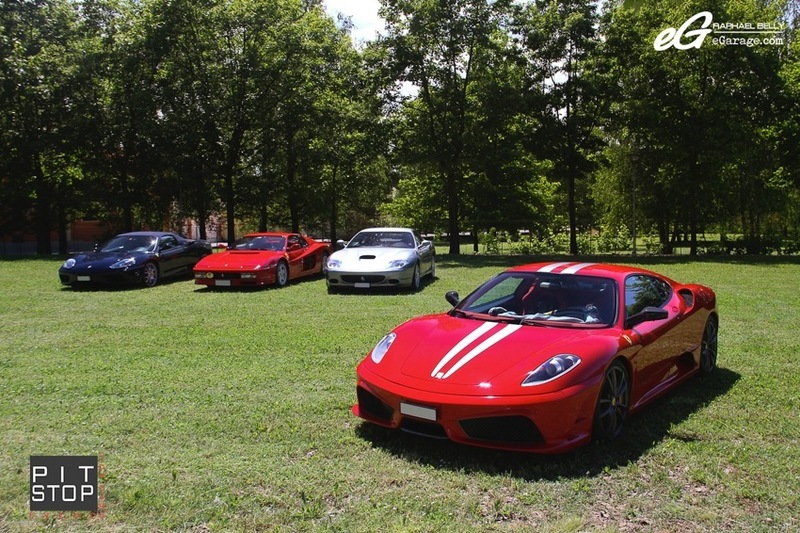 On the first day, the cars were displayed on Parco Collodi in Marene, Italy, and moved to Piazza Santarosa, Savigliano. 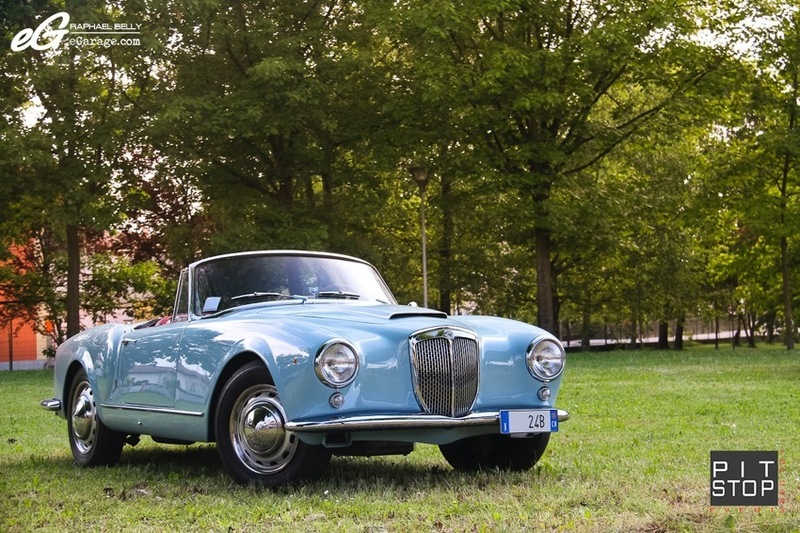 The special guest of the night in Savigliano is the completely restored 1958 Lancia Aurelia B24 Convertible. 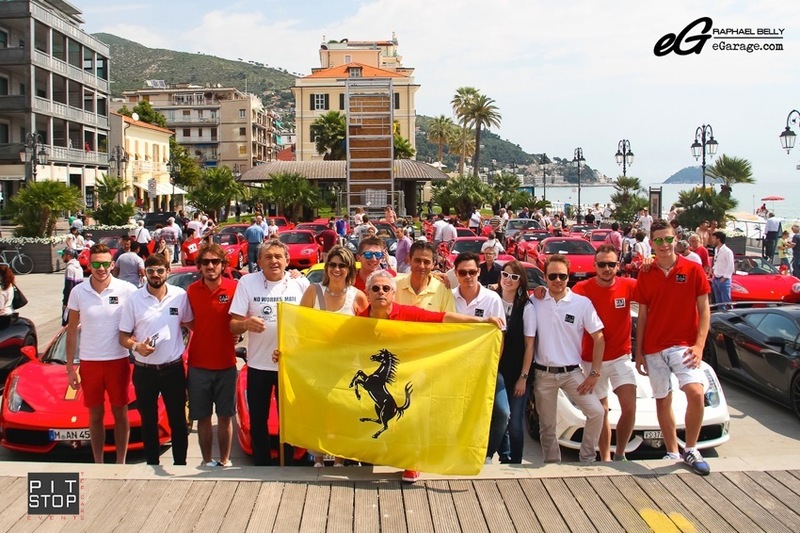 The next day, Saturday, the cars drove from Marene to Busca to have some fun in a kart session and then on to Montezemolo (the city where Lucas Di Montezemolo, Ferrari & Fiat CEO, is originally from) to have lunch. 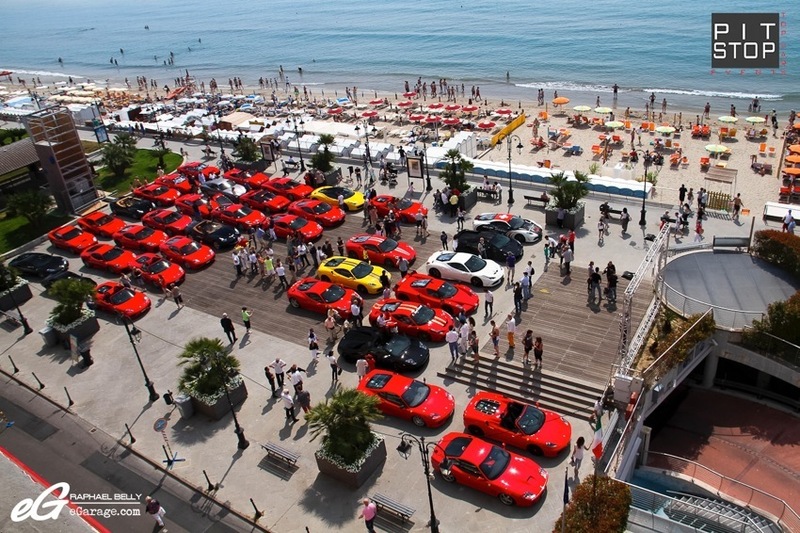 The 50 cars were finally displayed on Sunday in Alassio, a charming city in front of the sea. 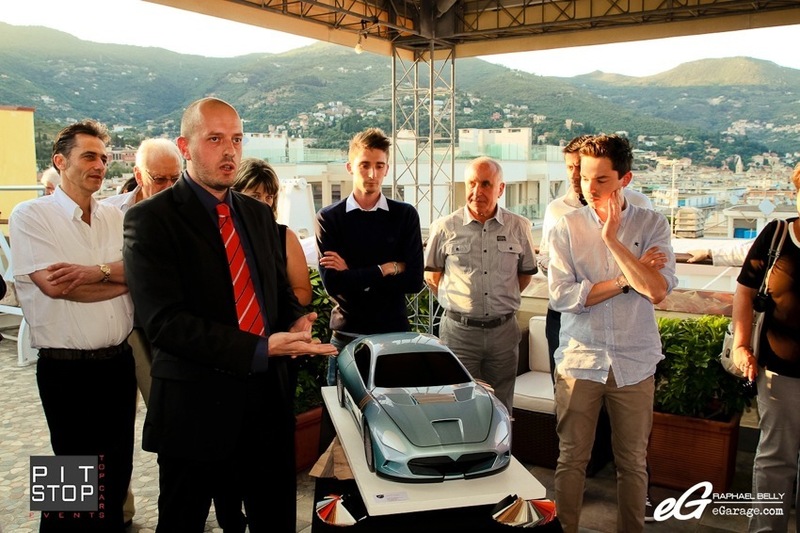 In Alassio the Pit Stop group presented, together with designer Simone Porta , a 1:5 scale model of the Maserati “Alfieri”, which was created by and realized by the students of the CEMI (Centro Europeo Modellismo Industriale) of Savigliano during the academic year 2012/2013. It was an opportunity to exchange words with the designer, Simone Porta, on his project. “This is a labour of love. Cars have always been my great passion since I was a child and now the Alfieri is my dream that has come true – to create a fully bespoke hyper-car! This project started as the realization of a passion and as a very great tribute to Maserati for its 100 years but it became immediately a business project because it is closely linked to the country in which this car was born – Italy. Italy has always represented the car body and the car design all around the world, so the decision to create a limited edition hyper-car or one-off is also to emphasize the ‘Genius Loci’. In other words if you want an exclusive, handcrafted, high performing and most of all emotional and glamour car you have to buy an Italian one! At this moment we’ve realized the 1:5 scale model (length of one meter). Our target is to make at first a real one-off then a very limited edition of maximum 14 cars, each one fully bespoke and marked with an recognizable label and registered on a dedicated register, for hyper-car lovers or collectors. This is a really excellent new project, 100% designed and made in Italy, considered low in terms of quantity but very high in visibility and prestige. The last moment my girlfriend and I spent with Pit Stop guys was Sunday lunch, and I must admit we were a bit sad to be leaving behind the so many people that were so kind. Italy has an immense sense of hospitality. 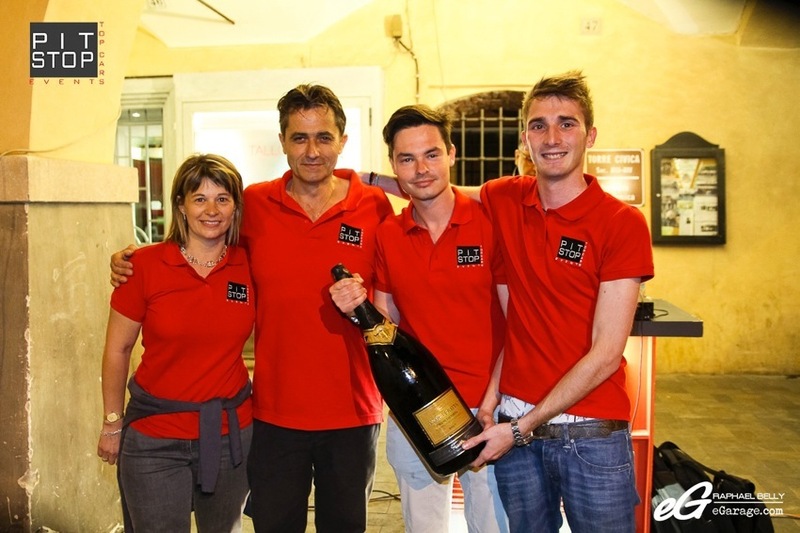 That’s why I’d like to thank again all the Pit Stop staff : Giovanna Bertola, Giovanni Sobrero, Enrico Allocco, Alberto Deninotti, but also all the other people linked to this event : their families and friends who welcomed us so kindly.